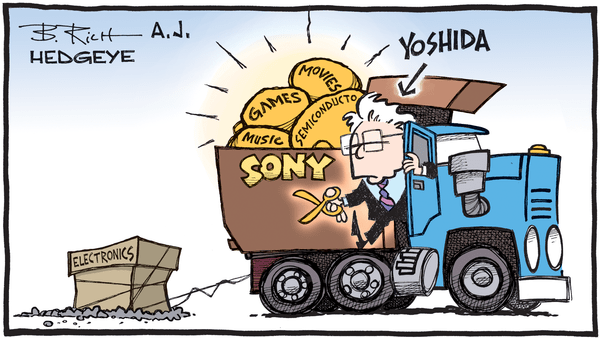 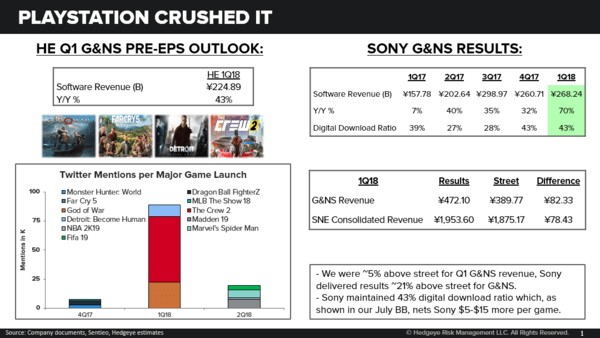 Sony reported a fantastic quarter, mostly. 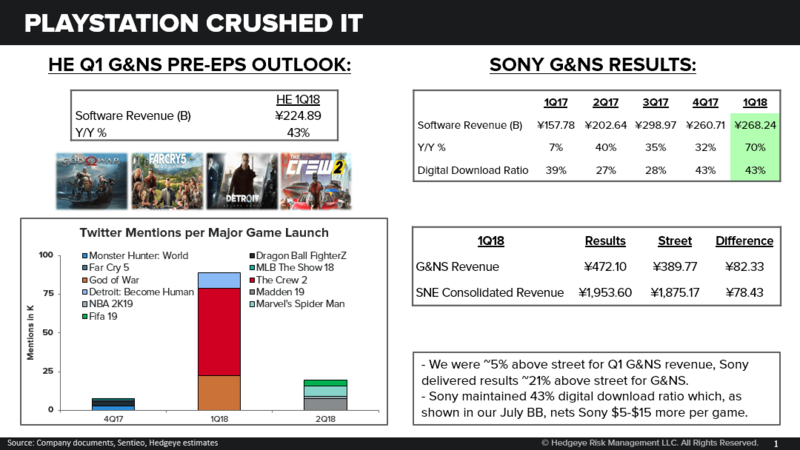 We called out (to see the replay of our July Sony Black Book Presentation, click HERE) an incredible gaming software quarter for Sony in part thanks to the game title God of War. We got much more than we thought from gaming, and everything else was a bit better. 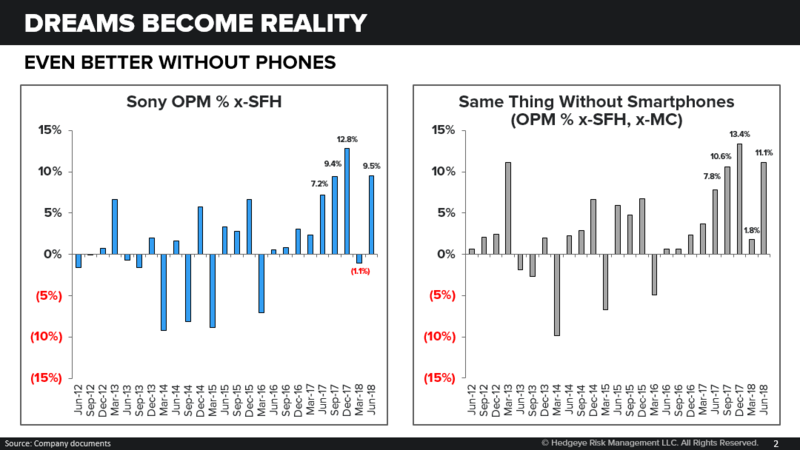 Except Mobile. 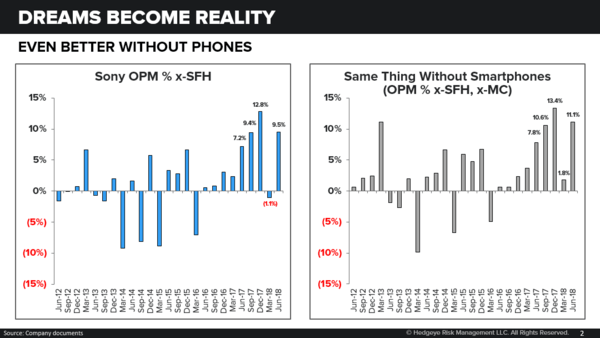 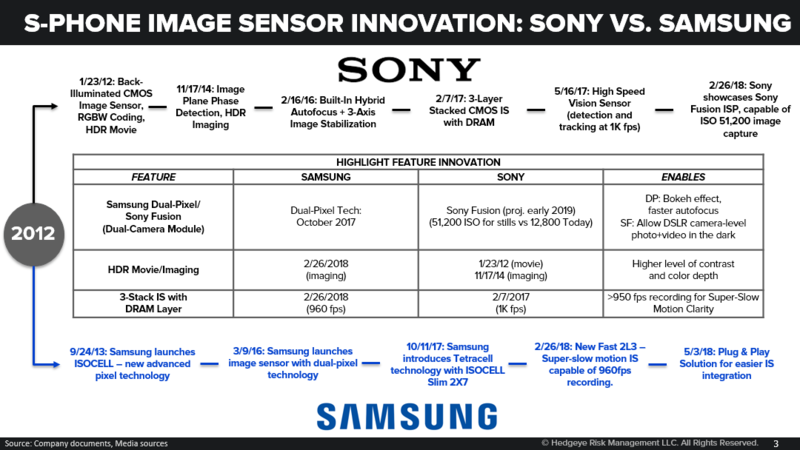 The decision to keep smartphones around, for example, implies that management has taken all the FY18 upside in Semiconductors and washed it down a bowl-full of bad phones. 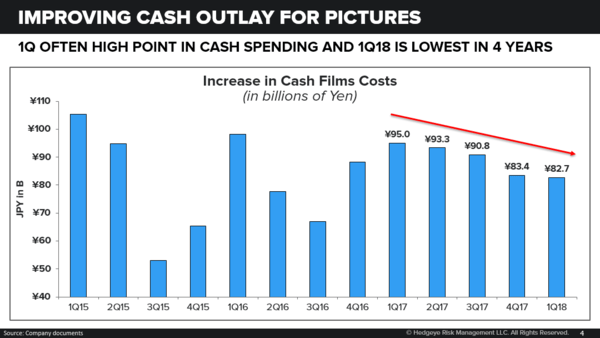 Two points from this: 1) if you don’t want to win in a business, don’t be in it; 2) trying to generate cash flow from a dying business that is hyper competitive is a tricky thing to do. 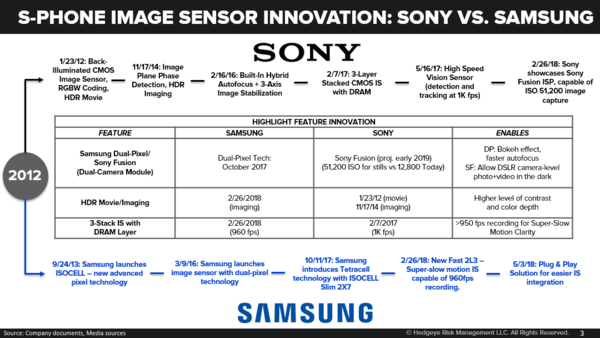 The bottom line is that FCF moved up, the stock got a bit cheaper on EV/FCF, there are many drivers ahead for out-performance including improving Pictures revenue and profit, folding EMI into music, rising semis profits, as well as some surprising positives in the camera business. 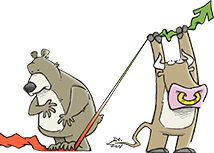 But the multiple will be held back until management starts cutting the cord (in a cash neutral way) to its lagging divisions. 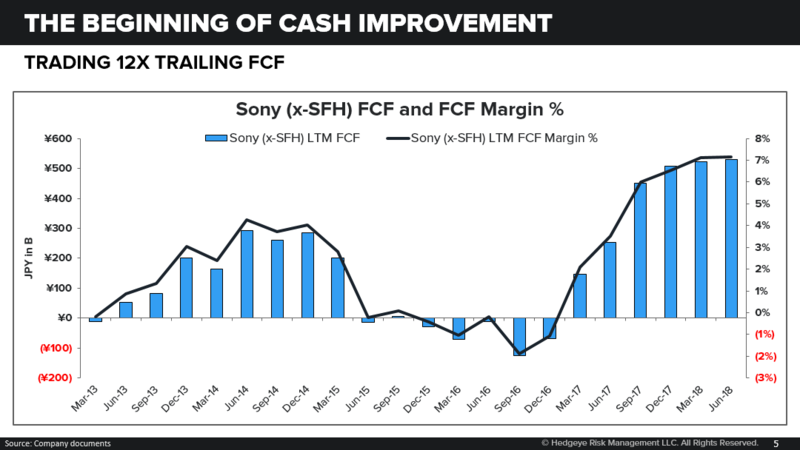 We think that’s ahead, and will make Sony a homerun stock, without which, it is still awesome trading at 12x trailing FCF, improving, growing, and with unlock catalysts.